Port of Dover is the closest one to France, about 20 miles away from this country. Due to its location the port is one of most transited locations by coaches, cars and motorcycles. Here you will find some ferry cruises and cargo services. The Dover port is ideal for an international gateway. Here you will find some of the most prestigious cruise lines like Cruise Britain, Atlantic Alliance or Cruise Europe. The port has great services including catering, car hire, disabled facilities, medical, postal services and even mother and baby changing rooms. If you are planning a departure from Port of Dover you might take into consideration visiting some of the beautiful sights that Dover has to offer. First of all you should definitely check the beautiful White Cliffs of Dover. It is a great place for a walk where you can enjoy a beautiful view. In the vicinity of the location you can find the beautiful Victorian lighthouse built in 1843 and here you can enjoy the beautiful view of the English Channel and if the sky is clear you can see the shores of France. Another great location to visit is the Dover Castle. Built in 1168 it has a rich history and here you can visit furnished chambers, costumes and banquets arrangements from the medieval era. Other great attractions in Dover include: Dover Museum, Roman Painted House, the Pines Garden or Deal Castle. If you are looking for a place where you can dine you can always check the local cuisine at Allotment Dover or if you are in the mood for international food you can visit The Marine Court Tab, Cullins Yard or La Scala. If you are looking to reach Port of Dover from Stansted you can always opt for a train. From Stansted Airport you can take the Stansted Express to Tottenham Hale station. From there you will have to change and get a train to Stratford, after which you will have to catch the train to Dover Priory. A Stansted to Port of Dover trip will take more than 2 hours, depending on the connections. If you wish to avoid the crowd and have your luggage secured you can always take a minicab service. 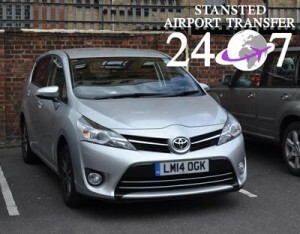 247 Stansted Airport Transfer is a reliable minicab provider based in Stansted London. We provide the best services for our clients and we offer a modern fleet and professional drivers. A Stansted to Port Dover transfer will take 1h and 39 minutes and the cost starts from 140 GBP for a saloon car. You can also choose VIP services and services for groups up to 19 people. 247 Stansted Airport is here to provide the best Stansted to Port of Dover transfer services and return journeys as well. Get the best quotes with our online platform or just give us a call.